The best writer of his generation. - The Times. A mother and daughter are in search of a suitable boy. Set in post independence India, when the country was struggling to build itself, the story circles around four large extended family. Will Lata be able to find herself the right boy? 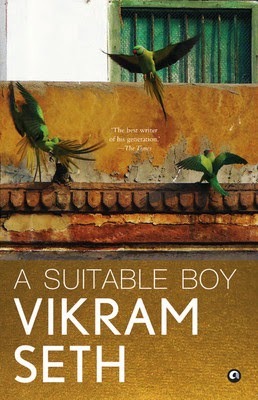 A Suitable Boy is vibrant, gripping and a fine read. Rupa Mehra is on a quest to find her daughter Lata, a suitable boy to marry. The book A Suitable Boy is all about four large families, their loves and lives. We as Indians are always caught in complex situations when it comes to marriage. The story focuses on the extraordinary lives of ordinary people. Being set in the 1950s, the book also throws light on issues like coming to terms with a multi ethnic society. Vikram Seth is an Indian author and poet. He has authored several books of which The Golden Gate, An Equal Music and A Suitable Boy are the most popular ones.